I've known so many people who claim that blog comments are completely useless, so they turn them off. However, I think they're missing a tremendous opportunity to learn more about their audience. By no means I'm saying they're wrong, I just think people can't get the most out of blogging without comments. Think about it: Comments allow you to learn more about your readers – how they think, the words they use to describe their problems, and even the way they see the world. And remember, those ones who can understand the way their prospective customers view things are the ones who get the most profits. Most importantly, blogging is all about readers. Without readers, your blog is worthless. So the best thing you can do is to build a community where they can interact with you by expressing their thoughts and feelings. How can you get more blog comments? 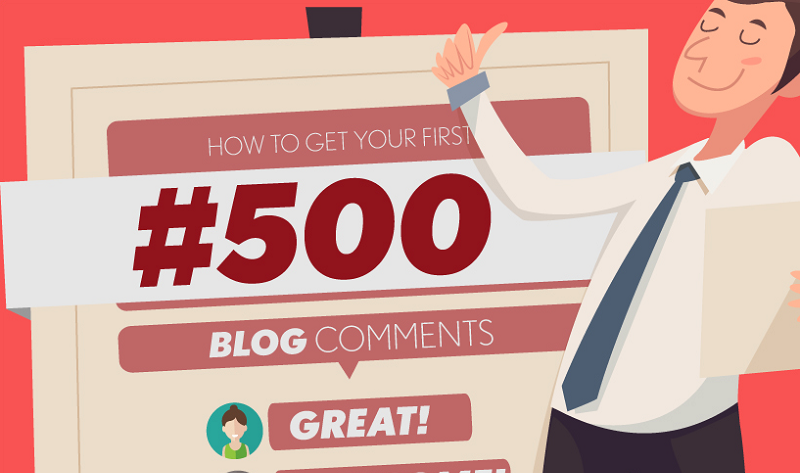 The infographic below will show you eight steps you need to follow in order to get more people commenting on your blog. This is a guest contribution from Josue Valles. You can follow him on Twitter or Google+.